The Blackburn women are cursed. Ever since the extraordinary witch Rona Blackburn landed on Anathema Island centuries ago and was shunned by the eight "original" settlers, Blackburn witches have been doomed to carry out a brief whirlwind affair with a descendant of the Original Eight. The vengeful curse, however, had unintended side effects: it diluted the Blackburns' supernatural powers. That's perfectly all right with seventeen-year-old Nor Blackburn. All she wants is a quiet, unremarkable life—her powers are blissfully unexceptional, her love life pretty much nonexistent. Nor hopes the curse has played itself out through enough generations that she'll finally be spared the drama. But when a mysterious book comes out promising to cast any spell for the right price, Nor senses a dark storm headed straight for Anathema—and straight for her. First of all, I'd like to write that this book could use a trigger warning for self-harming. 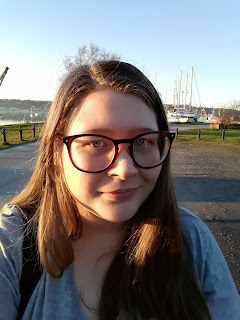 I didn't expect it going in and I know someone who wants to read this, may find that warning helpful. Nor, an eighth generation witch, and would really, rather not be. I was taken by surprise at her emotional journey that she goes through, throughout the novel - especially her inner conflict with dealing with the trauma she went through as a child, how she expressed that and she begins and ends within three-hundred pages. There was something comforting about her relationship with her grandmother, and family friends. My favourite part of this entire book was the prologue. It read like a fairy tale, it read like a myth, it read like a warning, and I gobbled it up. 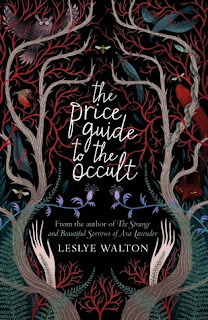 The prose was beautiful and haunting - Leslye Walton knows how to write, but the love story left her writing underwhelming and for some reason didn't gel with me, so I couldn't give it five stars. 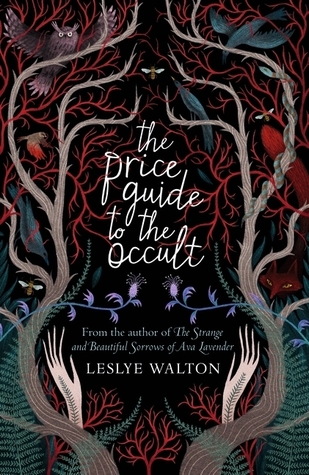 The Price Guide to the Occult is a book about trauma and recovery and finding your feet, its about the fear of falling in someone's shadow and owning everything about you that makes you that little bit unique. It's about first loves and friendship and the families that you'll make. And for that I give it four stars.